Philadelphia Eagles defensive end Chris Long. 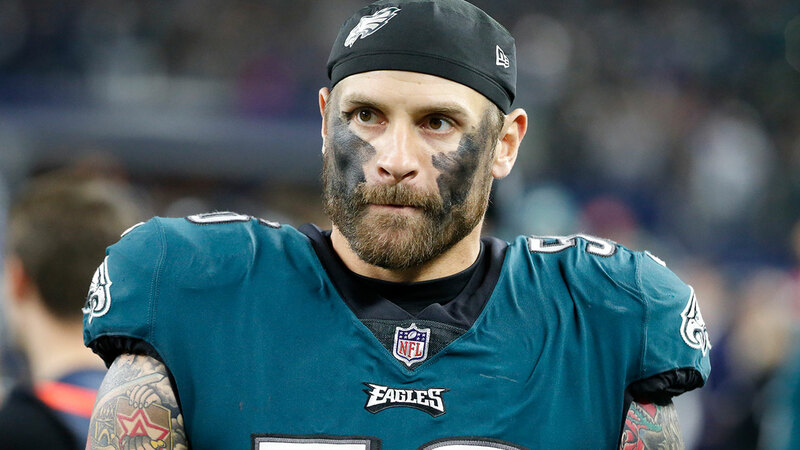 Philadelphia Eagles' Chris Long took his Eagles pride to new heights. The Defensive End took to Instagram on Sunday to post a picture of himself at the top of Mount Kilimanjaro wearing a dog mask, and holding an Eagles flag. The flag read, "mountain home of a member of the world champion Eagles." "High altitude dog... Just for Philly," Long wrote as the caption. Long has been recognized this past season for all he has done to give back. Including donating his salary to charity, and starting a nonprofit organization called Waterboys, which helps bring well water to East African communites. Long's idea for Waterboys came from what started as a trip to Kilimanjaro, and turned out to be a life changing experience. Chris Long tackling water issues across the globe. Annie McCormick reports during Action News at 10 p.m. on PHL17 on November 7, 2017.